People…you are amazing! The Next Truth is thanking you all! Keep mailing all your comments and suggestions because 10 more articles and several interviews are already laying on the editors desk which will let you peek into e.g. Ancient Egyptian Technologies, Alien life-forms on our planet, 3D Quantum Holographic projections and a mind dazzling idea concerning phoning the past. 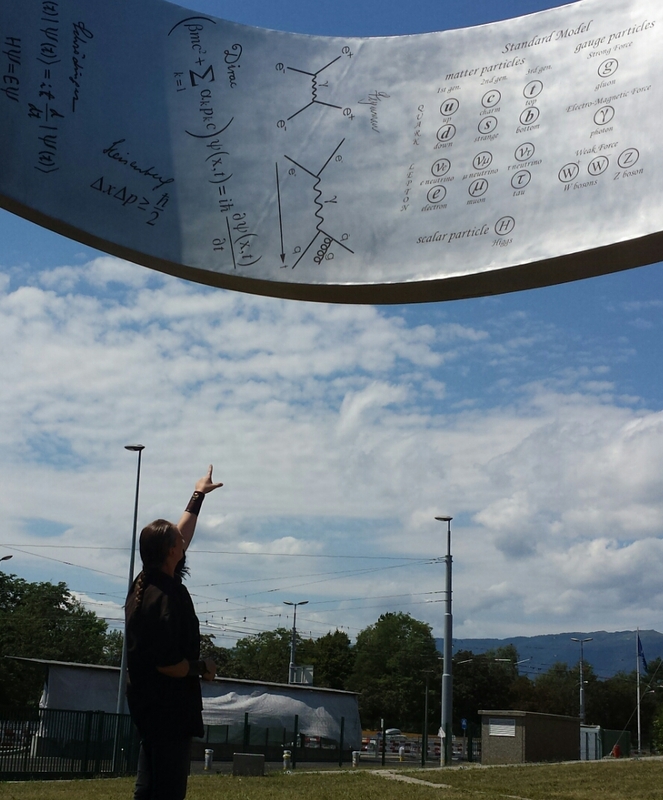 So stay tuned and let your mind wrap itself around these galactic puzzles and paradoxes. Who or what are the Shadow People as they are being sketst in that creepy legend we all know? This question I have asked myself several times in the past months because it has entered my life life on a pretty much daily basses. Most people told me via Face Book as well as in a personal conversations, that the shadow people are dark, human-like shaped shadows having ill intentions and thus are evil. They have being reported by witnesses as big, small, with and without hats, as black mists standing along side the bed…watching you. These, in the dark hiding, creepy shadows, are the one of the most common form of ghosts that people witness. For many people, these scary shadows are disembodied humans who are lost, they did not gone forward in their life’s journey by refusing to go toward the light that will lead them to the next phase after their physical body died. For others, these shadow figures are a result of sleep paralysis. But what if there is another plausible answer in their existence? What if they are partly projected by our own fears? 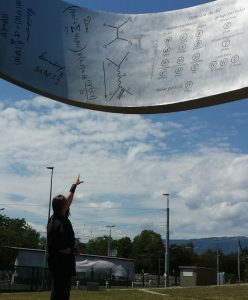 An emotion which has the power of creating a strange kind of stress in our atoms? Please continue listening to the radio segment (below) broadcast by PU Radio to find out about a plausible origin of the Shadow People. Correspondent Segments: Krystle Vermes and Manny Veiga talk about a radio host and accused Ponzi schemer who tried to use a hoodoo spell to stop a federal probe plus, they talk about a man haunted by the Dear David ghost child. Also, Maria Anna Van Driel discusses shadow people. At 1 hour, 39 minutes and 26 sec you can hear Warwick’s Physics Professor and Ph.D. Bill Murray speaking on dark matter, time-tunnels and extra dimensions. In this episode of Paranormal Underground Radio, we talk with Krystle Vermes, paranormal enthusiast, blogger, and podcaster. Krystle is a professional writer with a background in online and print journalism. Her passions include everything tech, sports, and the paranormal. And when she isn’t freelance reporting, she’s running her paranormal blog, GetSpooked.net, and podcast, All Day Paranormal. Krystle is a graduate of Suffolk University and holds a bachelor’s degree in Print Journalism. Krystle is also a Paranormal Underground magazine monthly column contributor and Paranormal Underground Radio correspondent. 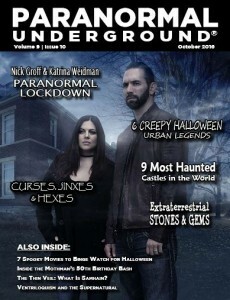 The March issue of Paranormal Underground Magazine is online available for those who love the paranormal, have questions about it or are just curious about what other investigators experiencing. For this issue I recommend those people who are dealing with toxic situations or people, to read the article of Karen Frazier “Dealing with Toxicity” which you can find on page 40. For those who like to hear Karen speak about how to detach themselves from dark/negative energy, I recommend the broadcast of Paranormal Underground Radio of 27 January 2017. 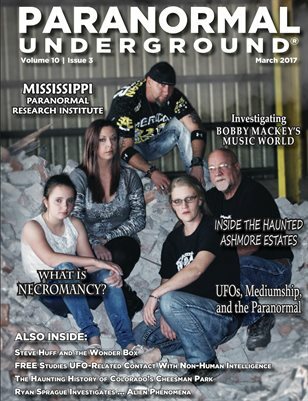 In this issue of Paranormal Underground magazine, we spotlight Mississippi Paranormal Research Institute and alien phenomena investigator Ryan Sprague, as well as paranormal authors Flora Dare and Michelle Pillow. In our Case Files of the Unknown, we feature haunted Ashmore Estates, a new report on extraterrestrial and NHI (non-human intelligence) contact, and haunted Cheesman Park in Colorado. 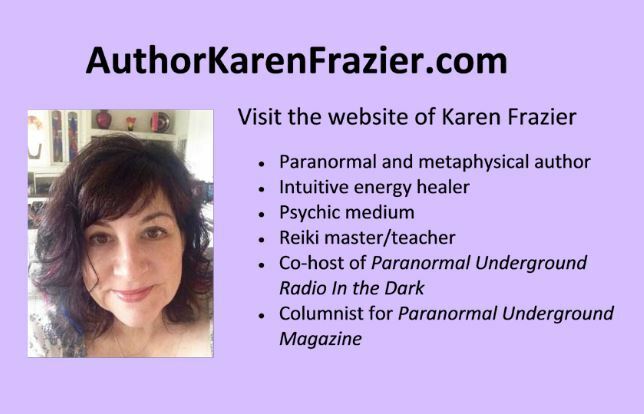 We also take a look at UFOs, mediumship, and the paranormal; how one skeptic learned to love a psychic; how to eliminate toxic energy from your life; and how one shaman was led to his calling by the spirits. Also in this issue, don’t miss our coverage about the practices surrounding necromancy and some of the most haunted places our paranormal insiders have visited or investigated. Plus, check out articles on investigations of Waverly Hills Sanatorium and Bobby Mackey’s Music World! SST, the beginning of an Alien invasion? Paranormal Underground Radio; SST, the beginning of an Alien invasion? Last night (26-01-2017) Paranormal Underground Radio broadcasted a very interesting interview with Gavin Kelly & Paula Purcell from Phantasmic Ghost Hunters who are talking about their paranormal investigations and experiences. 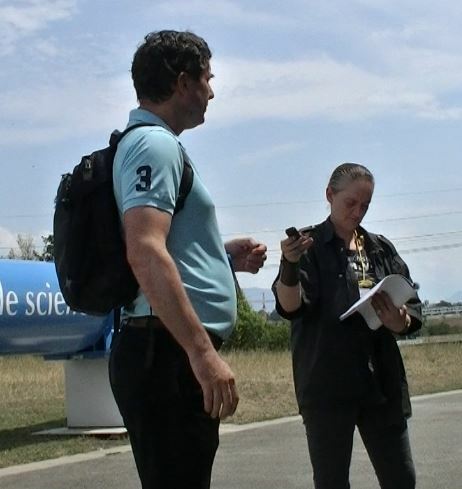 At 1 hour, 54 minutes and 30 seconds, another correspondent segment of me can be heard concerning how a space defense system (SST) can be turned into a system what can choose its own objects of threat. I wonder if this system has something to do with Trump kicking the world, making enemies like Mexico for instance. ps: the repeating of the sentence “the future of the US and global security” is not an error. THE SHADOW PEOPLE & MJ12; who created who?! Last night (13-01-2017)Paranormal Underground Radio started 2017 with a remarkably radio broadcast in-which you can hear my NEW RADIO AD at 27 min and 25 sec. At 1 hour and 50 minutes into the program you can hear me speaking about THE SHADOW PEOPLE as well as MJ12; who created who?! The technical problems they (Cheryl Knight, Chuck Gotski and Karen Frazier) encountered in the beginning of the show did made me think of what people say of The Slenderman who, so is being said, does have the power to interfere with technical devices like e.g. computers. 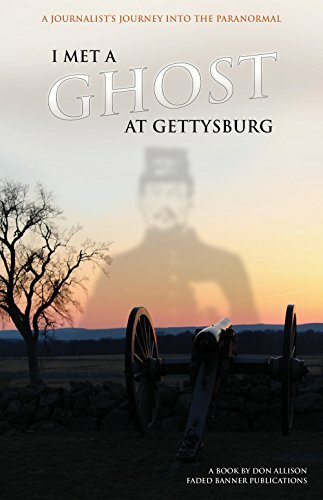 This is also what Don Allison have experienced while he was writing his book ‘I met a ghost at Gettysburg’ in the haunted house he is living in … listening to his story it almost sounds like that the entity was writing this book together with Don. 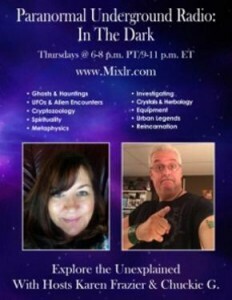 Tonight (10 Nov. 2016) Paranormal Underground Radio again conducted a very interesting interview with Peggy Maguire and Nate Gearhiser, Ohio Ghost Hunters who are speaking about investigation tools and how to use them, cleansing, religion en much more. At 1 hour and 26 minutes (50 sec) into the program, you can hear Chuckie G. introducing me as well as Cheryl’s thoughts about the different methods investigating groups are using in order to find some answers in the unknown and unseen. At 1 hour and 37 minutes (15) you can hear part one of an investigation I conducted which contains a CLASSICAL POLTERGEIST ACTIVITY in Germany … at one point into the investigation you can hear me asking the energy a question … a answer came in a form of a energy peak what was picked up by the EMF meter. 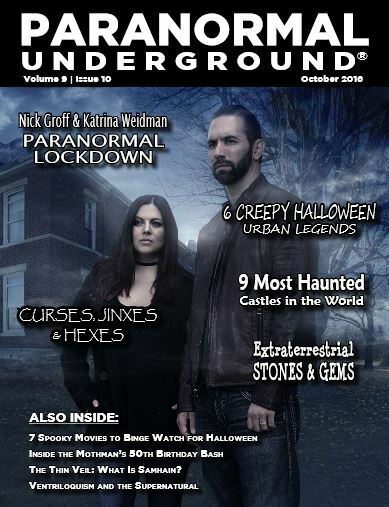 Paranormal Underground Radio broadcasting an interview with Nick Groff who is speaking of his near death experience and Katrina Weidman suddenly goes off air in a spooky manner while speaking about how paranormal activities do increase during their lock-downs. 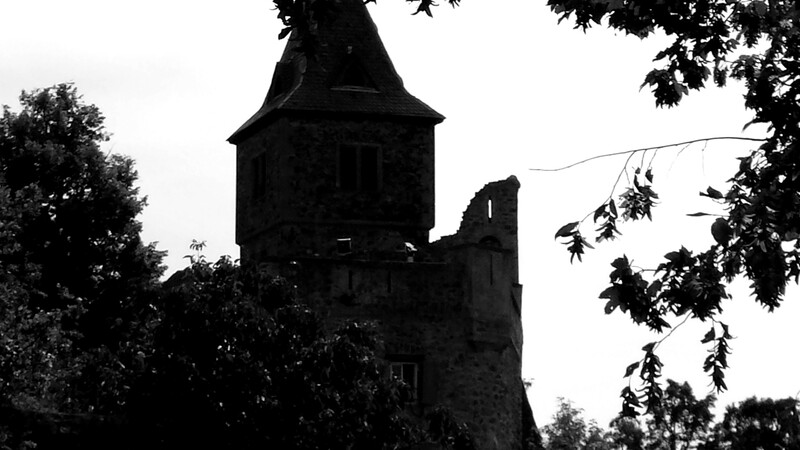 At 1 hour and 37 minutes into the program, you can hear me telling the story of Castle von Frankenstein were my husband and I stayed overnight in the woods of which people heard strange noises and say the spirit of Dippel von Frankenstein is still roaming looking for death body-parts in ghostly graves from the past.